A new international study suggests that parents who employ challenging parent behavioural (CPB) methods – active physical and verbal behaviours that encourage children to push their limits – are likely protecting their children from developing childhood anxiety disorders. Researchers from Macquarie University’s Centre for Emotional Health, along with partners from the University of Amsterdam and the University of Reading, surveyed 312 families with preschool-aged children across the Netherlands and Australia. Results showed that the parents who scored higher in their CPB methods, thereby encouraging their kids to push their limits to a greater extent, had children who were less at risk of exhibiting anxiety disorder symptoms, demonstrating that CPB was related to significantly less anxiety in children. 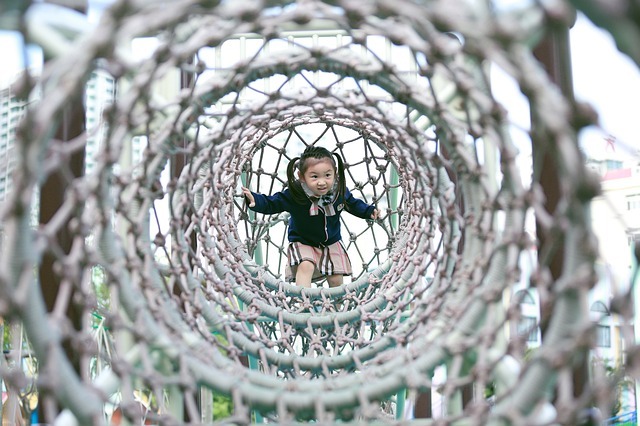 CPB encourages safe risk-taking in children such as giving them a fright, engaging in rough-and-tumble play or letting them lose a game, as well as encouraging them to practice social assertion and confidently enter into unfamiliar situations. This study aimed to build upon existing research that establishes a relationship between parenting behaviours – particularly overinvolvement and overcontrol – and the development and maintenance of childhood anxiety disorders. To determine the effects of CPB on preschool-aged children, parents’ CPB was assessed via a questionnaire assessing how much the parents encourage the exhibition of risky behaviour in their children, as well as the extent to which they encourage their children to venture beyond their comfort zones. “While Dutch and Australian mothers showed no differences in CPB towards their sons or daughters, both Dutch and Australian fathers of sons demonstrated more competition towards their sons than fathers of daughters. Dutch fathers in particular reported more rough-and-tumble play than the other groups of parents,” says Rebecca Lazarus from Macquarie University, another co-author of the study. The results are promising in raising the clinical relevance of CPB methods, which could potentially be used to aid parents in helping their children’s wellbeing. “While this isn’t a cure for anxiety, and we cannot at this stage determine causality, the results are promising in terms of parent education. By gently encouraging their kids in a reasonable way to push their limits, parents could be helping to reduce their child’s risk of developing an anxiety disorder, which is a great insight,” concluded Professor Hudson. Majdandžić, Mirjana; Lazarus, Rebecca S; Oort, Frans J; van der Sluis, Cathy; Dodd, Helen F; Morris, Talia M; de Vente, Wieke; Byrow, Yulisha; Hudson, Jennifer L; Bögels, Susan M. The Structure of Challenging Parenting Behavior and Associations With Anxiety in Dutch and Australian Children. Journal of Clinical Child & Adolescent Psychology. October 2017.